The cell is 45 µm wide at this point but the entire cell, oriented away from the viewer, is 480 µm long. For photography using an oil immersion lens it has been manipulated to be nearly upright in a special cavity about 0.6 mm thick. 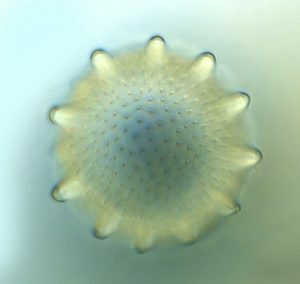 The picture shows the apical pores and tubercles, which are important in desmid taxonomy. The sample came from Newfoundland and has been preserved in formalin: the chloroplast colour has been lost but the pore field is correspondingly more visible. The string of spheres along the secondary axis (or stem) in this photo are cystocarps, which are structures that contain female reproductive cells in this subtidal, red seaweed, Bonnemaisonia clavata. 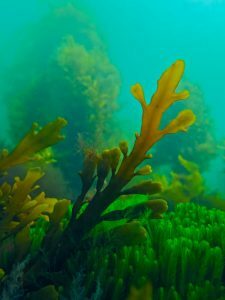 In spring 2017, individuals were found growing in dense clumps between 5 m and 10 m in depth on semi-exposed reefs that skirt Victoria, BC, Canada. 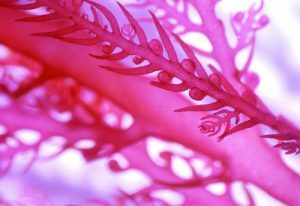 Representative tissues were collected via recreational SCUBA and transported to the lab, where B. clavata was photographed under a dissecting microscope, affixed with an Olympus DP20 camera. For scale, the prominent branchlet in the center-right is 1.5 mm long. Making its way out from a mass of Caulerpa trifaria, this young specimen of Carpoglossum confluens already shows epiphytic macroalgae. The silent effects of marine eutrophication on coastal reefs can change essential structuring, slow-growing species such as kelps and fucoids to environments dominated by fast-growing species such as Caulerpales, epiphytic and filamentous macroalgae. This photo taken in november 2015 in SE Tasmania shows the lush marine vegetation of the underwater gardens of The D’Entrecasteaux Channel, today facing effects of multiple anthropogenic sources of nutrients. Cape Peron, about an hour’s drive south of Perth in Western Australia, has become a favourite location of mine for photographing and collecting seaweeds. The area includes numerous reefs and rocky headlands, plus extensive seagrass beds, so provides a range of habitats that support an incredible diversity of seaweeds. The primary subject of this image is the green alga Ulva stenophylloides, but both the red Hypnea musciformis and the brown Sargassum sp. also appear, so each of the major groups of seaweeds is included. The photograph was taken while snorkelling, with a Nikon P7100 in a housing and twin Inon D2000 strobes providing fill flash. 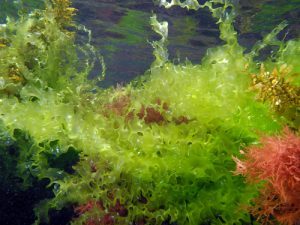 Macroalgae are incredibly diverse in form and function. 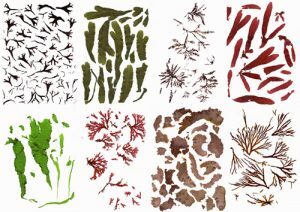 This image illustrates the taxonomic and morphological diversity of common intertidal British macroalgae. 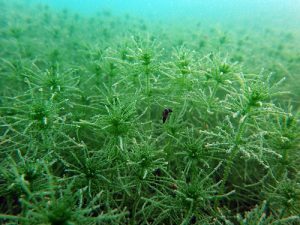 However, there is more to macroalgae than meets the eye. The species pictured above all possess different suites of functional traits (i.e., morphological, physiological, and phenological characteristics), and fall within different functional groups. 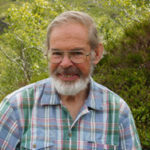 Functional traits and groups are an ecologistâs tools to explain or predict speciesâ response to environmental conditions and/or effects on ecosystem functions. This picture is made up of eight scans taken on an Epson Perfection V39 Scanner and collaged using Adobe Photoshop CC2015. The native green alga Chara zeylanica forms dense beds at 5 m depth in a tropical brackish lagoon in Hawai’i. These verdant and lush beds help to maintain a clear water state in the lagoon by absorbing nutrients and limiting sediment resuspension. Brackish snails associated with the Chara and the surrounding sediment occasionally journey to the top of the meter-tall Chara canopy.